While doing the previous commision. 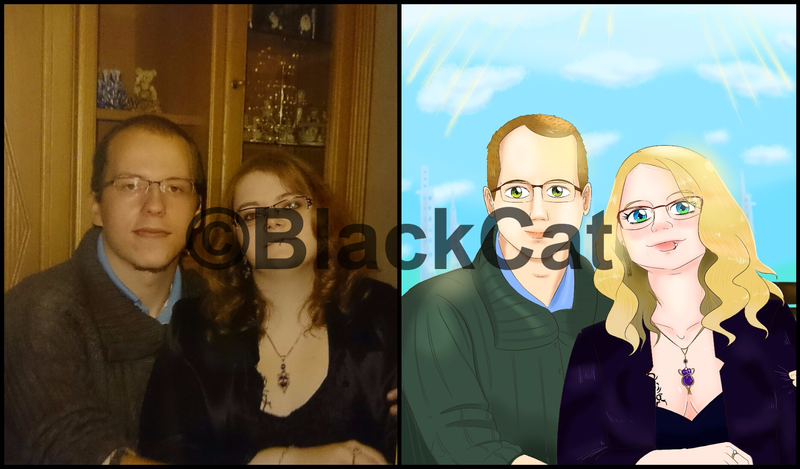 Another cool anon from 4-chan contacted me and asked for an artwork based on this lovely pic of him and his gf. At first glance, you could think that I applied the wrong colors, but consider that the actual pic have a filter. So I got some instruction from the anon about the colors. He wanted another background, so I chose something bright and sunny and I think I made a nice choice. 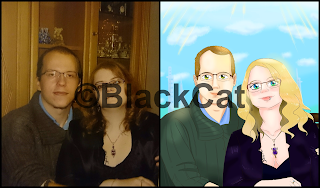 I enjoyed so much drawing this awesome couple. Both of them look wonderful. I freaking love coloring as I love drawing, so I did my best to transmit that special feeling of warmth in this artwork. Anon just loved it, so I couldn't be happier. If you want artworks like these you can always contact me. I do almost any kind of works including +18 stuff. If you like to write stories but need some help for character design or whatever drawing-related you can always count me. See the commision page in this blog or contact me giving me the details of what you want. I will gladly read your requests.